We will provide the best overall value proposition possible to our customers by engineering and supplying Automotive HVAC, Powertrain Cooling and Battery Thermal systems and components of the highest quality and performance, at the lowest delivered cost. This is the hallmark of AITS. We exist because of the innovative solutions we create for our customers and the comfort, efficiency and reliability we provide to the users of their vehicles. Through our partnership approach and our collaborative working environment, we create a company that is a benefit for all stakeholders. Our extensive system’s engineering expertise in climate control technology creates a passenger comfort experience that is second to none. 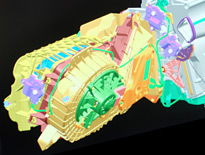 Our industry unique control system algorithms and CAE capabilities optimize power consumption in the vehicle’s powertrain, whether gasoline, diesel, electric or hybrid, to provide the most environmentally efficient vehicle possible. With expanding locations in China, Thailand, the United States, Mexico, Australia, Europe, India and soon in Brazil, our 20 manufacturing locations and 10 technical centers service automotive companies around the globe. 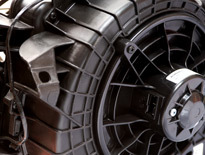 Our approach to manufacturing and product supply provides a true competitive advantage, offering both lower piece cost and reduced transportation costs, for a benefit that is instantly recognizable to our customers. However, it is our unsurpassed quality that is even more exciting to our customers and leaves an even longer lasting impression. In fact, our components, modules and systems have been recognized globally as best in industry, best in class and best in segment by the world’s toughest critics; vehicle owners around the world. Over our long history and across the markets we serve, AITS has continually been presented with top industry quality awards and recognitions from our customers. For all of us at AI, it is absolutely about delivering the best value possible. That’s my commitment to you and to our customers. At AITS, we have established a culture of trust, respect, passion and accountability that results in a partnership approach to our customers, supplier partners and employees. 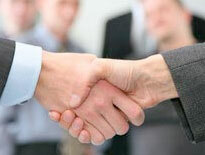 We truly believe that this culture sets AITS apart from other suppliers. It is the personal care we provide, the hands on approach across all levels of the team and the attention to detail given that results in customers coming back to AITS for program after program. Our history is full of examples of our employees going beyond the call of duty to assure customers receive the attention they deserve and the results that are more than expected. I invite you to experience first-hand the compelling value proposition offered by AITS and why we have been one of the fastest growing Climate Systems providers in the global automotive industry. I look forward to spending time with you to better understand how AITS can make you one of our extremely delighted customers, partners or employees and how we can work together to assure Air International is our customer’s preferred supplier of choice.